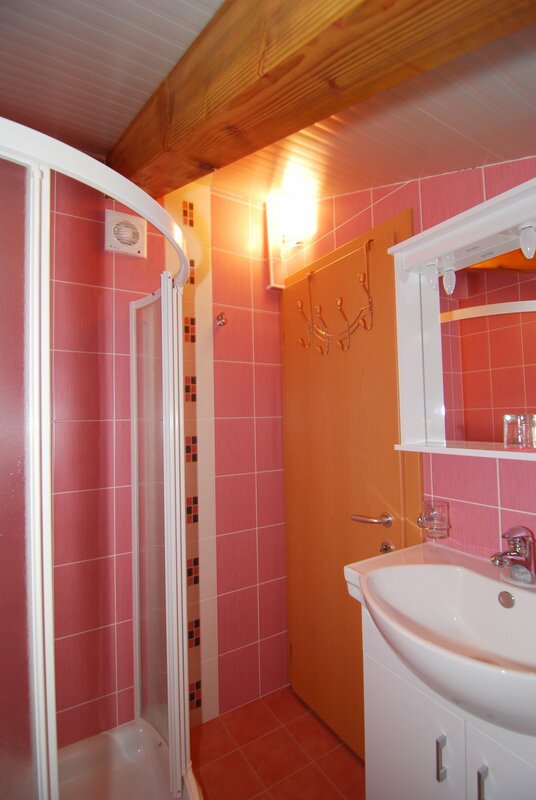 PINK APARTMENT | Apartmaji "V Mlinu"
Is in size of 23 m2, with bathroom, French balcony and window. It’s eqipped with mini-kitchen, table with three chairs, double bed and extendible sofa. 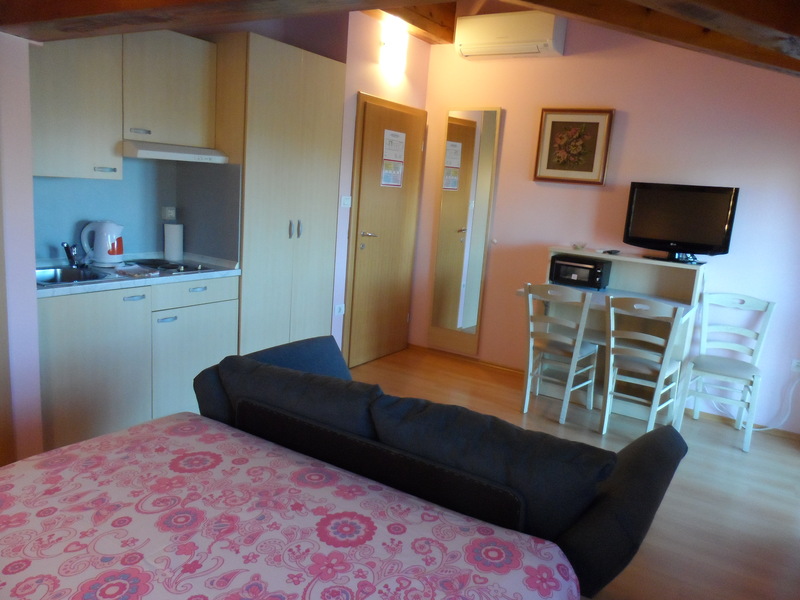 The apartment is suitable for three people.